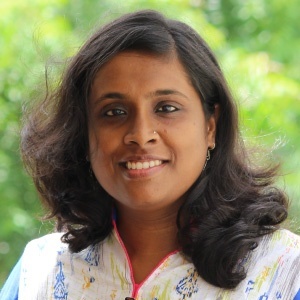 GirlScript is a growing tech community in India. It is a non-profit project intended to help beginners in technology. 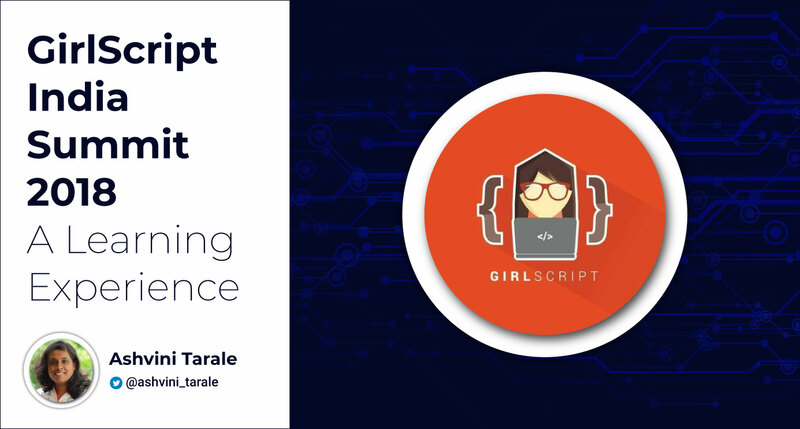 I had the chance to attend the GirlScript India Summit 2018, held at the Priyadarshini Bhagwati College Of Engineering (PBCOE) in Nagpur, India, on the 15th and 16th of December. And it turned out to be a great learning experience. The first speaker on the first day of the event was Sairee Chahal, the founder of SHEROES. I was glad to be able to meet her in person, since I’ve been associated with the SHEROES community for the last three years, and admire their work. I had a great time speaking with her about her work. The second speaker was Shashank Randev, an Executive Committee Member at the People of Indian Origin Chamber of Commerce and Industry (PIOCCI). Shashank talked about how our activities as students play a role in defining our personalities and careers. He also talked about how PIOCCI focuses on skill development and creating a supportive environment for small businesses. Gaurang talked about how he turned his college project into products which have real life applications, and they turned out to be startups for students. He explained how they set up an incubation center within their college campus. He also shared some great information on how students can start working on their ideas and projects, which can eventually become stepping stones towards having a startup. He explained in detail how to work on an idea, and the process of turning an idea into a project. During the break, I interacted with professionals who were working on their startups. It was fun to listen to them talk about their work, and the problems they are facing. I loved their spirit and honesty about their work. I also met some students and professionals who actively contribute in the open source community as developers. There was also a hackathon, which featured a group activity that involved working on ideas. There was also a panel discussion that included principals from various colleges. They talked about the importance of values in one’s life, how we pass values from one generation to another, and more such topics. Daniel Phiri, a GitHub Campus Expert, conducted a session for GitHub beginners. I won some cool stickers for my laptop that are proudly decorating my laptop now! And I also got the chance to share my knowledge of GitHub with some students. During the hackathon, we worked further on developing ideas—how to segregate them, find patterns, and present them. There was also a session on community building. There was many discussions on how coders can can contribute to open source. Then, I raised the question of how people who don’t enjoy coding could contribute to it. This led to a great discussion around various projects where there is a need for non-technical people to maintain documentation, software testers, and various other roles. In conclusion, the event was fun. It will keep me energized and driven for a long time, and I’m looking forward to attending similar events in the future! She spends her time offline as family renowned ice cream maker, weekend reader, and unapologetic "rom-com" fanatic.